Coaches and college administrators who impose social media bans are failing their student-athletes. Social media is a learning lab for anyone willing to dedicate time, attention and passion to it. Name the interest, and you can find and learn from people, content and events shared across today’s platforms. So why do coaches and administrators — at institutions of higher learning no less — continue to demonize social media and the opportunities they provide? ESPN recently reported Clemson and Florida State banned all social media for the 2015 college football season. For FSU, this continues an in-season stoppage started in 2011. “We don’t need any distractions. It’s no big deal,” one Clemson player told The Post and Courier about the ban. In 2015, this confounds me as a sports fan, and as a communications and social media advisor to senior business executives. Let me be crystal clear: When used appropriately, social media is not a distraction but rather a tool to help achieve your goals. For every reason a coach can dream up to ban social media, I can find multiple counter-arguments that make it worthwhile — even in-season. College students are in school to learn. There is no better time or opportunity to teach them about social media — and I mean everything about social media. Missteps happen, but as I’ve written here previously, social media mistakes are not forever. Done right, education can provide players (and coaches) with the ability to effectively use social media — no matter the season. Create curriculum that highlights these teachable moments — hire someone if necessary! Recognize past mistakes but learn from them and become better. Talk as a team about parameters and safety nets that are already part of your culture of winning. Be there for one another on the field, in the classroom — and online. From the highest-profile student-athlete (like the one who may someday play professionally) to the Division III bench-warmer, social media provides life skills that translate beyond the playing field and classroom. Social media reinforces basic writing and grammar. It opens doors for creativity and expression in photography, video and design. It provides opportunities to deal with sometimes volatile negative feedback, to learn from adversity or to manage distractions during stressful times. These are all things student-athletes encounter in the regular experiences of college life — and eventually life after college. Let social media add to the richness of those experiences. Perhaps social media’s most important asset is personal branding. Instead of teaching student-athletes to fear it, instill in them the skills to put social media to work for them — to set them up for success in life after graduation. A coherent and upbeat Twitter or Instagram feed provides potential employers, business partners and friends with a better look into your world than anyone else can provide. This isn’t about creating a a facade but rather enhancing how you interact with people face-to-face. It’s an asset that — as sports business writer Kristi Dosh notes — 93 percent of employers check before making a hiring decision. Student-athletes have 100 percent control of that message! And for those few elite athletes, social media may one day be the place they can make — and break — their own news. This is already happening! (Just ask Tom Brady about it). Arkansas athletic director Jeff Long gets it, too, and even took to Twitter to counter the recent news of social media bans. Demonizing social media does not benefit the student-athlete. Instead, tackling the issues associated with social media reinforces a learning environment and opens doors to new opportunities. Let’s coach our student-athletes to succeed at life, not just sports. Twitter can be a real cesspool. It’s still my go-to social network, but its anonymity churns out vitriol beyond comprehension. Its trending topics lower the site’s collective IQ. Sports fans contribute to the nonsense. Last night was the most recent example, and I’m sad to say it involved those who claim to support my beloved Iowa Hawkeyes (which is a big reason why I became aware of it). Marcus Grant, a freshman wide receiver and highly touted athlete from Groton, Mass., announced to his Twitter followers he was leaving the Iowa Hawkeye football program for personal reasons. Twitter insanity ensued. Below are just a couple of examples of the hate directed at Marcus, who was merely sharing his reasoning behind a no doubt difficult decision. One example of the hate thrown at Marcus Grant immediately following his announcement to leave the Iowa Hawkeye football program. This tweet has since been deleted by the user. Let’s just get this out of the way now. Student-athletes are off limits when it comes to this type of reaction. So-called fans can hide behind anonymous Twitter handles and spew snark 24×7, but they aren’t allowed to personally attack a young person who’s putting himself or herself out there for fans. For #HawkeyeNation and most other fan bases, Twitter creates unique communities where news about teams and players breaks faster than anywhere else. Many join Twitter just to connect with like-minded fans. So, first and foremost, let’s agree fans should not engage in the type of behavior exhibited during the Marcus Grant affair – or in other situations when a student athlete has, for instance, had a bad game, dropped a pass, fumbled a punt return, or any number of things. So-called fans can hide behind anonymous Twitter handles and spew snark 24×7, but they aren’t allowed to personally attack a young person who’s putting himself or herself out there for fans. Tweet your support to student-athletes. Often. These are young kids, and at stressful times, they could use all the encouragement you can provide. It’s 140 characters, folks. One tweet. Think what good you could do. Let’s not feed the trolls. It’s a worn-out statement, but attacking the attackers doesn’t usually advance the conversation and could potentially put you at risk. Instead, rally your fellow fans to report those who attack student-athletes. How? Get them banned from Twitter – even if it’s just for a brief time. Learn more about the safe ways to report haters at Twitter’s Help Center. Coaches and administrators: Make Twitter safe for your athletes. Teach them how to use social media, and provide them with the tools to keep the haters at bay. NCAA officials: Create a real social media policy. Provide basic ground rules and training for your member schools and their student-athletes. 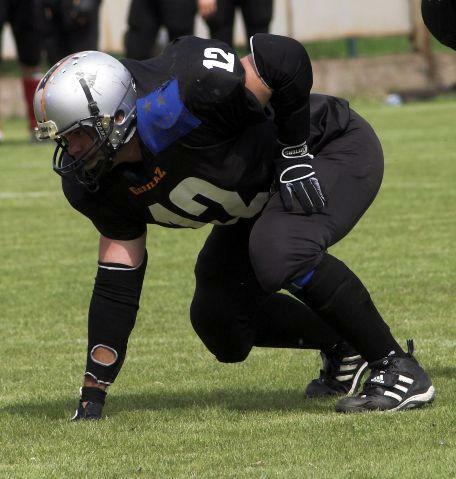 Understand the medium and how it’s changing sports – hopefully for the better. What else can we do? Add your ideas to the comments below. I know I said I wouldn't be writing much about the Iowa Hawkeyes, but someone has to stop Dennis Dodd and his witch hunt on the school's football program. It’s time for Dennis Dodd to stop. The controversy that was is the story Dodd keeps trying to resuscitate. In his latest CBS-sanctioned witch hunt against Kirk Ferentz and Iowa Hawkeyes football program, Dodd throws speculation to the wind – predicting mass transfers as the ultimate punishment for the supposed wrong-doing that just had to have happened during those post-season workouts in Iowa City last month. “With the school currently in the middle of a three-month investigation into the incident, dealing with possible transfers could be the next issue for coach Kirk Ferentz,” Dodd pontificated in his latest (Feb. 15) column on CBSSportsline.com, calling it the next potential “stain” on the program and Ferentz. 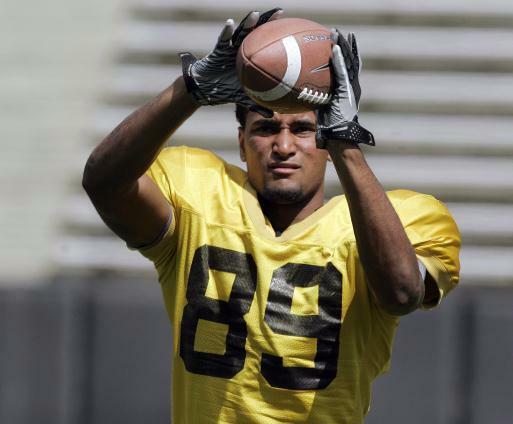 Problem is, there’s no whiff of any transfers … by any Iowa players … involved in the workout or not. NOTHING. The only one still crowing about transfers is – you guessed it – Dennis Dodd. In fact, Ferentz just wrapped up a pretty fine 2011 recruiting class. We’ve been here before when Dodd claimed University of Iowa Hospitals and Clinics workers should have broken federal HIPAA laws and disclosed private health information about the Iowa football players hospitalized following those workouts. He was rightly shouted down for such nonsense, and should be for this latest piece of trash that CBS Sports passes off as journalism. Interestingly enough, Dodd has not turned to his Twitter following to generate conversation around his latest post. No link to the site, no thought-provoking tweets to get his 8,600 followers talking. Perhaps the hundreds of tweets and replies the last time kept him from Twitter this time. In the meantime, a few right-minded sports fans used Twitter to ridicule Dodd again, this time in smaller numbers. That tells me Dodd’s rants are less effective. People are tired of tirades. His idiocy is getting ignored. And that, folks, is how you stop Dennis Dodd. 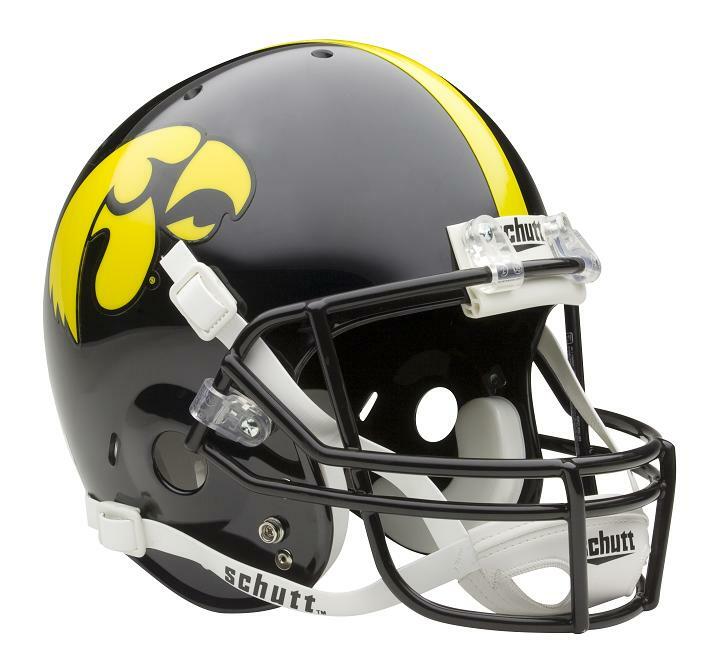 In addition to being a social media dork by day, I also throw myself into cheering wildly for my two favorite sports teams – the Iowa Hawkeyes and Pittsburgh Steelers (who happen to be playing a pretty big game later today). Just ask my wife and kids – if I’m not watching the Hawks or Steelers (both conveniently don the black and gold, by the way), I’m reading or tweeting about them. More recently – I’ve been doing BOTH. Sort of like that old Reece’s Peanut Butter Cup commmercial, I’ve discovered Twitter (and sometimes Face book) and live sports go well together. It was this past season when I really began to appreciate the melding of sports and Twitter. Let me preface by saying this new fan activity is NOT part of any live game experience. So, no, I was not tweeting while in the stands at Kinnick Stadium. Wouldn’t think of it. And as a long-distance fan (I live in Wisconsin) of the Pittsburgh Steelers, social media engagment is a great way to connect with like-minded fans (some of whom also live in Wisconsin, belive it or not). However, with all social media conversations – especially Twitter – you have to have a thick skin and be prepared to cut through the clutter to find your sweet spot. Live sports moves fast, and so does the fan conversation. Keep up, contribute or get left behind. Or worse – ignored. Be patient, too. It takes time to find the fans you appreciate – and who appreciate you. There’s a ton of nonsense out there – from every team in every sport. Create a follower list of your favorite sports teams: That includes fans, writers, coaches and players. Twitter lists are a great way to differentiate any other activities or passions you might share on Twitter. Don’t overdo the RT. Once you’ve joined a team’s following – large or small – you don’t have to RT everything about your team. It becomes downright ridiculous to read the same tweet 25 times. Use your team hashtags (#) when posting. This helps tell your followers – especially those who don’t follow your team – that this tweet is about the #Steelers or #SteelerNation. Send a quick disclaimer if you’re going to be in-game tweeting. Your non-sports followers might cut you some slack if you warn them ahead of the big game. Include a sentence about your team loyalty in your Twitter profile. This gives any potential follower the heads-up that, hey, you’re passionate about your team, and that your tweets will reflect that passion. Got more tips? Add them in the comments below. For now, I’m headed to the big screen to watch my Steelers play in Super Bowl XLV. You might even catch me tweeting about the action, too. No matter how your favorite college football team finished in 2010, today is heralded as a day of hope and excitement for fans across the country. Sports networks, websites and a gaggle of reporters spent hours and hours today analyzing the high school athletes who’ve inked their names to national letters of intent (LOIs). Fax machines actually got used today. College football fans participate, too. They’re hitting fan forums, Twitter and Facebook to talk up their school’s 2011 recruiting class. For some fans, it’s a process that begins months – even years – earlier, when talk of a recruit’s interest sparks discussion on those social channels. The signing process is another opportunity for fans to interact – sometimes too closely – with these stars of tomorrow. Many athletes invite anyone to “become a friend” on Facebook or follow them on Twitter. Good idea or bad, college football fans benefit from the all-access pass that can come with social media. The athletes benefit (I guess) by getting a pulse of their school’s fan base, and from the potential praise and attention heaped upon them. This kind of “fan” behavior is becoming more common, and it’s unfortunate. I expect (OK, hope) to see some guidelines surface soon for high school athletes to incorporate into their social media usage. The problem is, colleges have no control over potential recruits. Zero. And high school administrators have almost less influence. It will likely need to come from individual coaches in the form of team rules or guideliness. The NFL already imposes restrictions on social media, so there is some precedent. For fans, there’s no excuse. If you’re going to follow or “friend” a high school athlete, do so at arm’s length and with a positive attitude. If he or she doesn’t ink an LOI with your school, so be it. 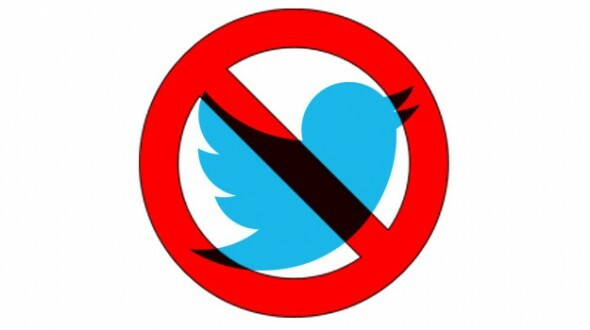 Just because they accepted your “friend” request or you follow them on Twitter does not permit you to hound, ridicule or berate high school athletes publicly. And yes, Twitter and Facebook are VERY public places now. Being a fan has its priviledges. But the nonsense C.J. Johnson and other athletes have had to endure is not one of them. It was a collision bound to happen. And no one got fined for helmet-to-helmet contact. Social media and sports bumped into each other, way before “Web 2.0” was thrown around. When did it happen? No one can really pinpoint a time – late 90s perhaps – when those first fan forums sprouted. They were led by average Joes who wanted to annonymously rant about their favorite team. You joined these networks of like-minded and not-so-like-minded fans to hear what everyone was saying about a certain player, or last weekend’s game, or the new coach that just got hired. They flourished and became mainstream. They generated news, sometimes, or buzz at the very least. They got noticed by teams, by the traditional media and by more and more fans. It wasn’t long before mainstream social networks – like Facebook and Twitter – took hold, and sports piled on like a scrum for a loose ball. Everyone wanted a piece. Everyone wanted to come out holding the ball. And why not? It was an elixir for today’s uberfan – that perfect mix of jack and coke or cold beer with pizza. Today’s social media channels are souped-up versions of those first clunky fan forums. They can enhance your fan experience and connect you with your favorite team or player like never before. Today, sports personalities are tweeting and Facebooking every day. Teams are announcing news on social networks – sometimes before they hit traditional media outlets. And those traditional media outlets are checking social networks and finding news where it used to never exist. Traditional fan forums are still around, but they’re being supplemented and enhanced by Twitter and Facebook. The whole sports fan experience has changed – and continues to evolve. So what? Well, that’s where I come in. And why I created this blog. It’s here where I’m going to attempt to highlight some of the many ways social media affects the sports world – from the simplest pee-wee football game to a 70,000-seat stadium on NFL Sunday. I’m not a sports expert. I’m an average fan like most of you. But I do live and breathe social media, and I’ve been a writer for nearly two decades. So, I hope I can provide a different perspective – one that you won’t read anywhere else. Pretty lofty goals, but give me a chance. And if you have a topic you’d like to see examined here, drop your idea in the comment section.